The Gift Card Granny app allows for saving on the go. Find the best deals on discount gift cards or sell your unwanted gift card for cash. 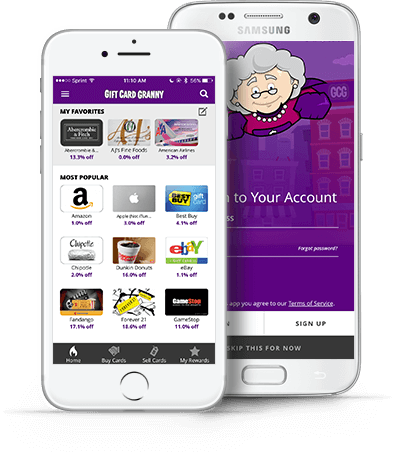 Start using the Gift Card Granny app before you shop to find the best deals on gift cards!